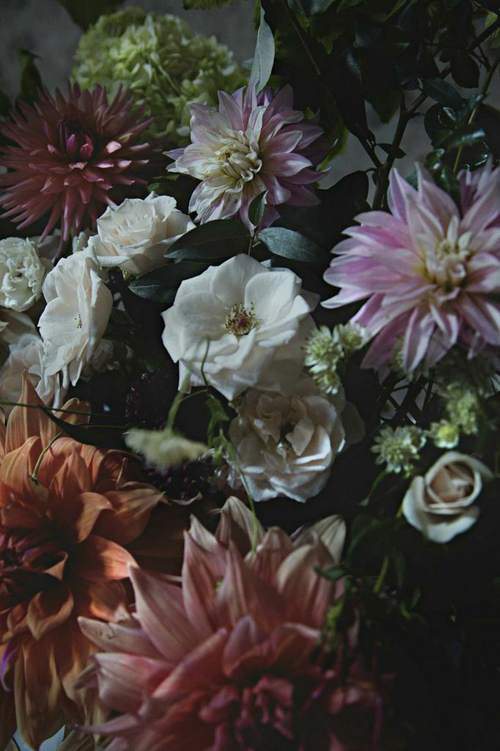 As soon as the stunning images in today’s blog post arrived in my inbox, I really couldn’t wait to feature them! 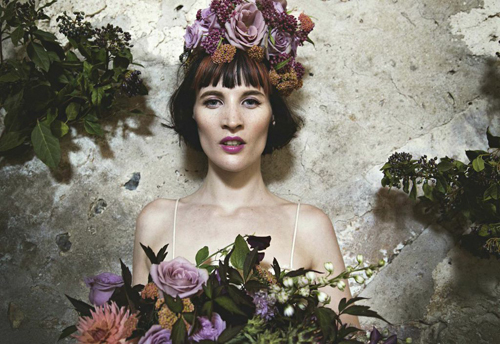 They’re from a breath-taking photo shoot which florist Jo Flowers did to coincide with the release of her new website, which went live on Friday. 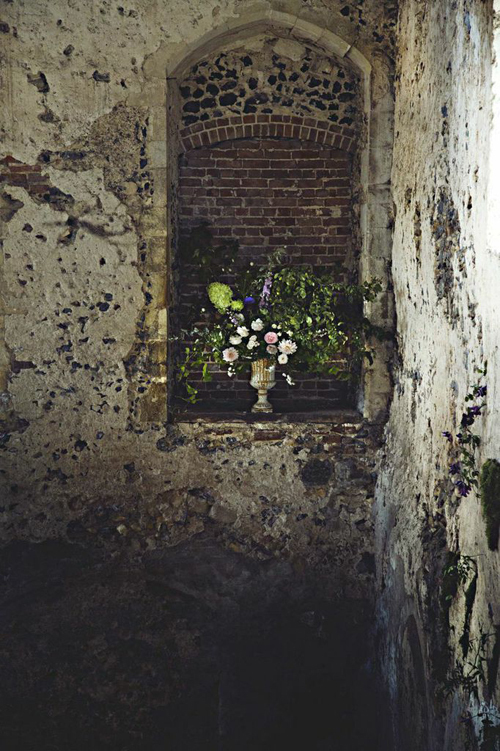 The shoot took place at one of Jo’s favourite wedding venues in Norfolk, Langley Abbey. 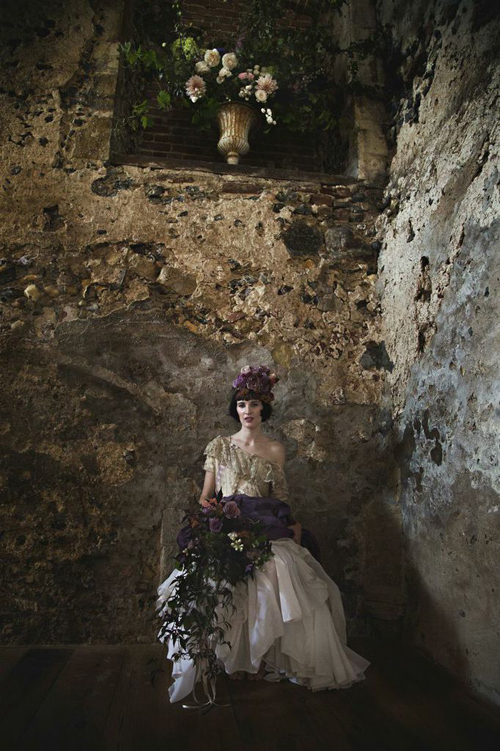 A beautiful atmospheric building, its 12th century crumbling walls were the perfect backdrop. 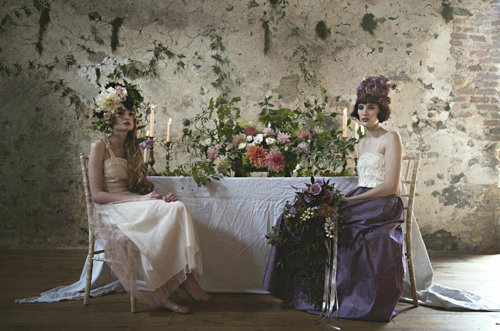 And with the mix of ethereal romantic florals of an old Dutch Masters painting (pretty much Jo’s signature look), antique urns, old frocks, plus hair and make-up by a lady who knows a thing or two about styles of the past and a hugely talented photographer, this made for one incredible shoot! 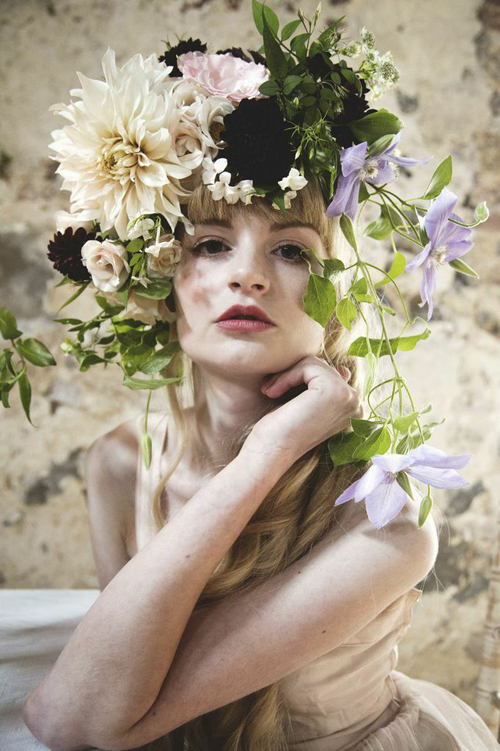 Jo had a fantastic team working with her on the shoot with models Amy, Hilary and Natalie. 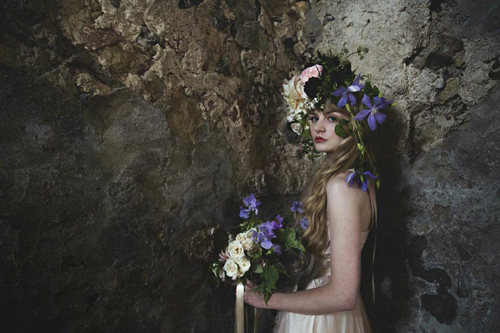 Capturing the day so magically was photographer Camilla Felgate, whose portfolio as well as wedding photography, includes fashion and editorial work. Flamingo Amy was the obvious choice for the hair and make-up, being a local leading lady in hair design of a ‘vintage style’. 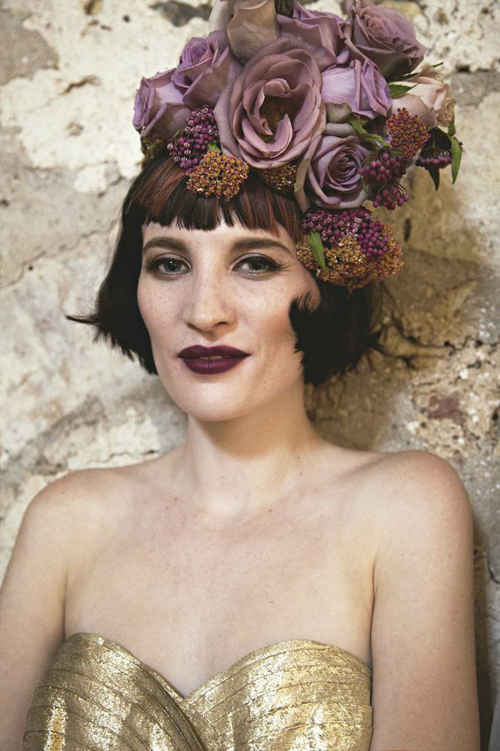 Amy worked her magic on model Amy’s make-up, including plum lips to complement the colour of the beautiful roses. 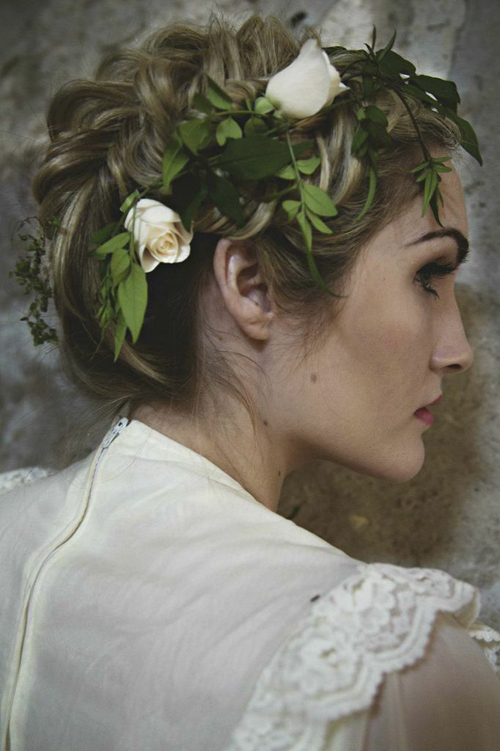 And Jo entwined vines and bud roses into Flamingo Amy’s beautiful plait hairstyle on model Hilary. 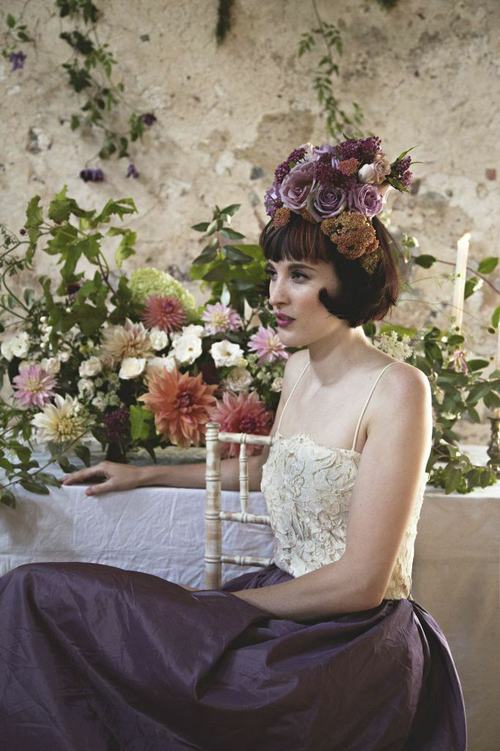 Lola and Jimmy took on the mantle of styling and creative direction. 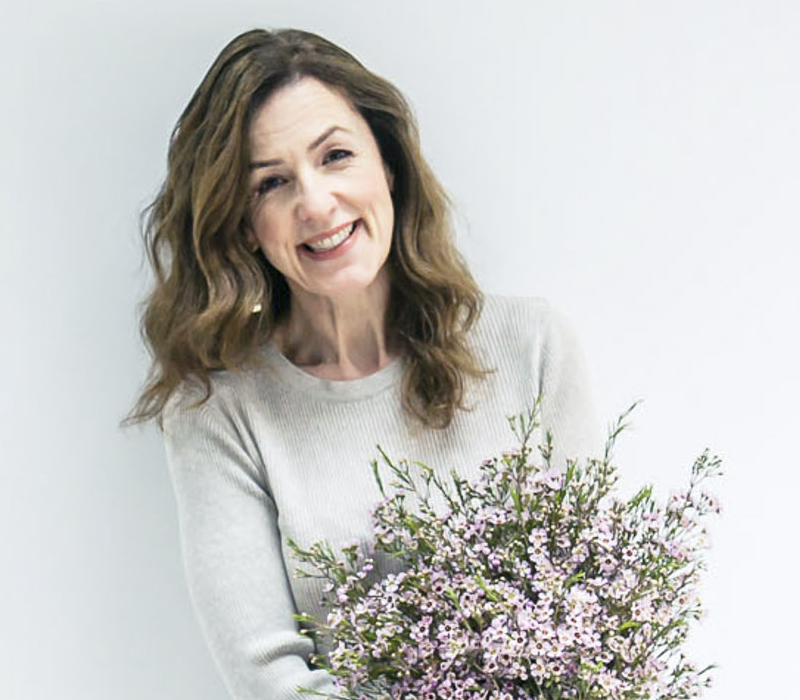 For a long time now, I’ve admired Jo’s work and her approach to floral design has gained interest worldwide, especially America. 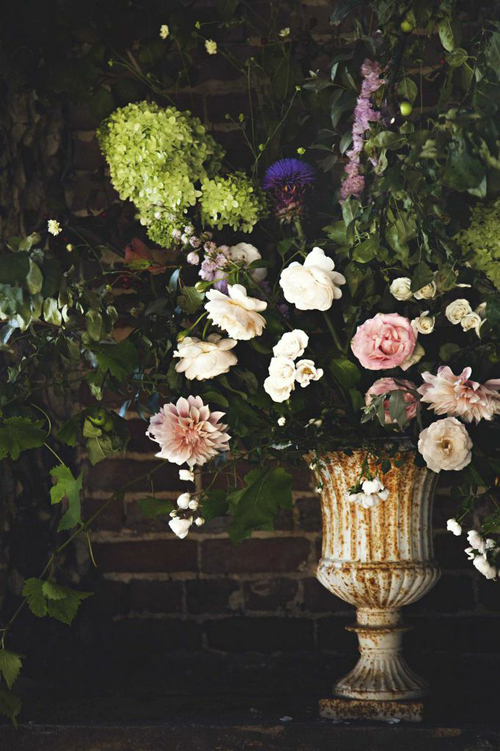 Designing and arranging flowers for weddings and events in Norfolk, Suffolk, London and beyond, Jo mixes flowers grown in her Norfolk garden with foraged ingredients to give the ‘just picked garden’ style..relaxed florals with plenty of movement and texture, plus interesting colour combinations. 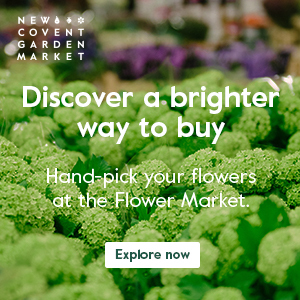 Do pop over to the new Jo Flowers website, where you’ll find more beautiful images and where this lovely video below can be found. You’ll also find Jo on Facebook and Instagram.